In a bit of a change of pace from the normal fare, I thought I'd post some pictures from a visit today to TVA's Norris Dam. 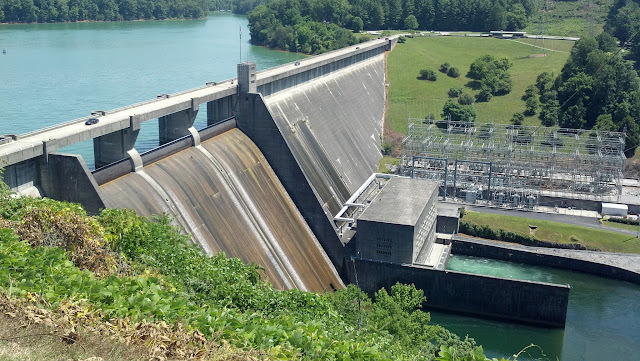 At 130 MW peak generating capacity, it is perhaps the one source out there that can truly compete with nuclear in terms of marginal unit cost as well as dispatchability: hydro. 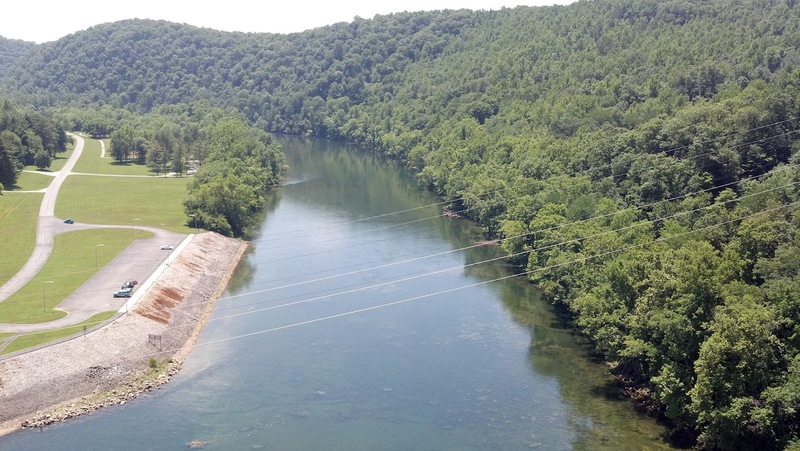 Norris Dam serves a dual purpose, being designed both to provide large amounts of reliable electricity as well as providing flood control along the Clinch River (which winds through east Tennessee, eventually joining with the Tennessee river). Hydro represents one of the most interesting sources of electric power, in terms of its flexibility - its economics are similar to nuclear in certain respects (in that it is capital-intensive yet very low marginal unit cost, meaning it is the first energy source to be dispatched for demand), yet by its nature it is easily suited to baseload generation (low marginal cost), as well as load following and peak generation (i.e., given the ease at which floodgates can be opened or closed). Nuclear is also capable of load-following, which is commonly done in France, although much less so in the United States (due to economics) save for where nuclear exists is high concentrations; typically load-following is accomplished through fast-response natural gas turbines. 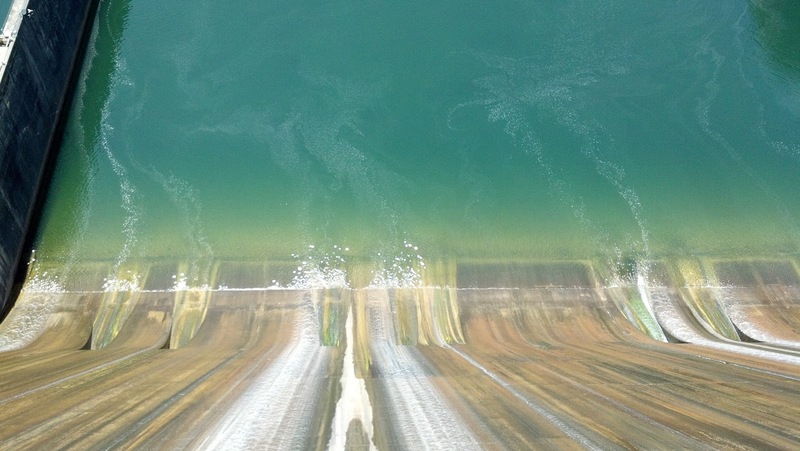 In other respects, hydro shares some similarities with other renewables - the energy output of a hydroelectric plant is fundamentally tied to nature - namely by the reservoir level (which in turn is influenced by rainfall levels). 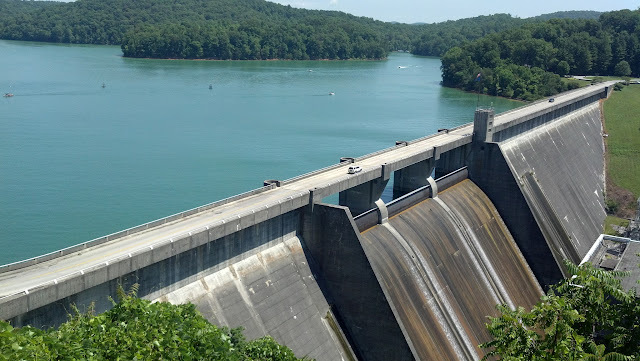 Unlike wind and solar however, hydro represents relatively "smooth" and predictable power output - while meteorology is far from a perfect science, rainfall patterns are generally quite predictable, meaning output levels from hydroelectric dams can also be readily planned for in advance. Unfortunately, at least as far as the U.S. goes, most of the "prime" hydroelectric capacity has already been tapped - meaning we've got about as much as we're going to get from this source. Happy Memorial Day to our U.S. readers - we'll be back to our regular scheduled programming later this week. Earlier this week, embattled NRC Chairman Gregory Jaczko announced he would be stepping down from his position contingent upon the confirmation of his replacement. Wasting no time, the Obama administration announced their nominee today, a mere three days after Jaczko's announcement. Their candidate? Dr. Allison MacFarlane, an associate professor of Environmental Science and Policy at George Mason University. MacFarlane is not without technical credentials - she holds a Ph.D. in geology from MIT and has written extensively on nuclear waste management issues - in particular, serving on the recent Blue Ribbon Commission. And, unlike the departing Chairman, MacFarlane at least has an academic career to point to, rather than solely being employed as a political aide for entire career. Ideologically however, she is relatively aligned with the departing Chariman however - thus, while not quite Gregory Jaczko II: Electric Boogaloo, she is likely close enough for government work. Suffice it to say, MacFarlane's ideological interests represent a mixed bag, to say the least. 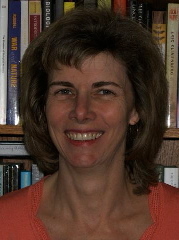 In many of her writings concerning the siting process for a nuclear waste repository, MacFarlane has repeatedly pointed to the need for a consent-based process (like that used for the Waste Isolation Pilot Plant [WIPP] in New Mexico) for locating a disposal facility, something which has been repeatedly stressed by other nuclear professionals (including myself). Thus, her influence over the Blue Ribbon Commission's final report is quite obvious. MacFarlane couches her objections chiefly in terms of nonproliferation concerns (something which I have an academic specialty in); what is not clearly demonstrated in any of her analysis is how reactor-grade plutonium (itself not suitable for direct use in weapons, due to heat-producing impurities such as Pu-240 and Pu-242 which make for sub-optimal weapons materials - more on this in a moment) represents a viable proliferation concern, particularly in nuclear weapons states such as the United Kingdom, France, Russia, and the United States. The exception here to this trend is of course Japan, which currently reprocesses fuel and ultimately aspires to achieve a fully "closed" fuel cycle for reasons of resource independence. However, even absent a reprocessing program, their world-class leadership in nuclear technology means that they are hardly constrained on a technical basis from developing a weapons program. (Japan is quintessentially a "screwdriver's turn" from nuclear weapons capability.) Yet given their deep cultural aversion to nuclear weapons, Japan is in fact a leading figure in the international nonproliferation community. All of this said, MacFarlane herself has gone on the record of indicating the she personally does not oppose nuclear energy itself, arguing that in the face of climate change, we "absolutely need nuclear power." Again, very much a mixed bag, so to speak. Nonproliferation tends to get a poor reputation among nuclear professionals and advocates, precisely due to the "political" wing, who tend to focus on opposing any nuclear technology seen as "proliferant," which in turn lends itself to the anti-nuclear strategy of "bottle-necking" - in other words, "constipate" the nuclear fuel cycle and then complain loudly of the "lack of solutions" for nuclear waste (despite the plethora of available technical options). Conversely, the "technical" nonproliferation community tends to focus on aspects such as how to improve aspects of verification and measurement within fuel cycle facilities - in other words, ensuring that declarations of sensitive facilities are complete and accurate and that material is fully accounted for. 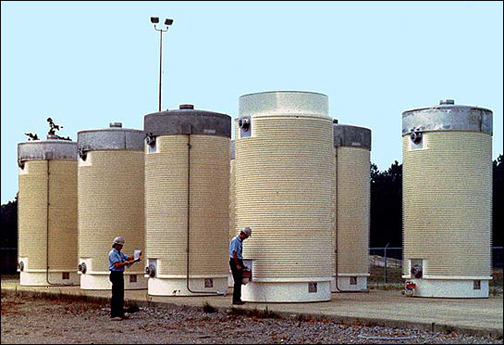 An example of this includes projects like those I am currently working on, which seek to use radiation detectors to better characterize the isotopic contents of spent nuclear fuel in order to provide for a superior accounting of materials such as plutonium. The difference in focus thus could not be more stark - one side complaining of the potential problems and the other seeking solutions to improve facilities such to eliminate said problems. Ultimately, these kinds of debates come back to the question I frequently ask: "So what's your alternative?" To her credit, MacFarlane at least does offer an alternative solution - one I find to be highly flawed, but it is nonetheless out there. And again, likewise to her credit, MacFarlane does not declare herself to be outright opposed to nuclear energy. Thus, the problem is simply a matter of coming to an agreement on a better solution for nuclear waste management. A small background on "weapons-usable"
So-called "weapons-grade" plutonium contains more than 90% Pu-239 - the isotope most suitable for weapons use (given its low spontaneous fission rate and low heat generation rate). Even-numbered plutonium isotopes - Pu-238, Pu-240, and Pu-242 - tend to have a high heat generation rate (Pu-238 has such a high heat generation rate from alpha decay that it is frequently used as a power source for space missions such as the Cassini-Hugyens probe which took spectacular images of Saturn and the New Horizons probe currently en route to Pluto). Pu-240 and Pu-242 also have a high level of spontaneous fission, which means in addition to producing large amounts of heat they produce high levels of neutrons - in a weapon, this leads to unpredictable yield, or "fizzle." Thus, generally speaking, "reactor grade" plutonium, while usable in the strictest sense (i.e., one can construct a fission chain reaction using the materials), they are far from optimal for a national weapons effort - any nation with the capability of reprocessing would easily choose a more dedicated route (i.e., with separate plutonium-production reactors to produce high-purity Pu-239 and separate reprocessing facilities) before resorting to diverting civilian stocks. Political calculations - the "twofer"
The nomination of MacFarlane as chair may also be a concession to Reid and other anti-nuclear Senate Democrats in another sense - Senator Reid has complained (without substantial basis) of Svinicki's record on the NRC - a rather questionable position, given Svinicki has generally voted with her three other commissioners on many important issues (in other words, it would seem that Reid's criticism, and in particular singling out Svinicki, is mostly upon the grounds of several prominent 4-1 votes in which Chairman Jaczko stood alone). I continue to have grave concerns about Kristine Svinicki’s record on the Commission. But I believe the best interests of the public would be served by moving the nominations of Dr. Macfarlane and Ms. Svinicki together before Ms. Svinicki’s term expires at the end of June, to ensure that we have a fully functioning NRC. Republicans claim to share that goal, and I hope they will work with us to make it a reality. The smart money will thus likely be on a joint appointment deal hammered out sometime this summer. And as for Yucca Mountain? I still wouldn't bet on it. My prior post debunking some of the more outrageous myths circulating the internet as to the state of the Fukushima Daiichi Unit 4 spent fuel pools generated some considerable amount of heat, particularly over at its syndicated location at The Energy Collective. Much of this discussion has focused upon the physical state of the Unit 4 reactor building itself (at the top of which the Unit 4 spent fuel pool resides). 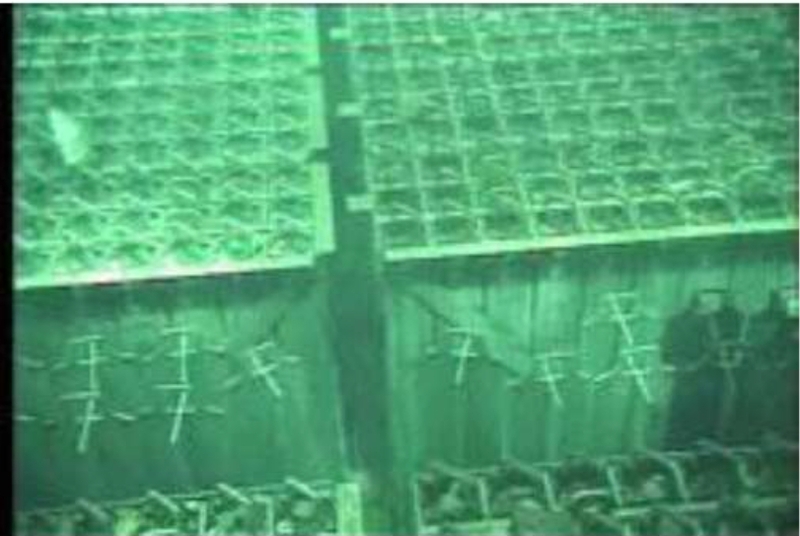 Yet contrary to popular belief in particular circles, TEPCO has certainly not left the spent fuel pool at Unit 4 to the vagaries of nature, nor have they failed to produce a credible, long-term plan for stabilizing and containing the remaining spent fuel at the reactor units. Given the concern over the structural state of the reactor building, it is thus useful to look at what TEPCO is actually doing to address the issue. Much of TEPCO's strategy is oriented around immediately stabilizing the site with a focus upon long-term remediation; in a word, triage. In order to stabilize the earthquake-damaged reactor building, TEPCO has already conducted an evaluation of the structural integrity of the Unit 4 reactor building, deciding to reinforce the foundation of the building with a steel-beamed outer support structure, work which was completed last summer. In this sense then, the immediate concern over the stability of the reactor building (and spent fuel pool) has already been addressed. However, there remains the issue of the fuel itself in the Unit 4 spent fuel pool. TEPCO has already put measures into place to ensure adequate cooling in the event of a sudden loss of water (i.e., from another large earthquake), including the deployment of concrete pumper trucks (referred to as "giraffes," which were used to originally restore the water levels at the Unit 4 pools). To emphasize - the concern here is not from a loss of water due to evaporation (again, spent fuel pools are kept at atmospheric temperature and pressure under normal conditions; meanwhile, the youngest fuel within the pool is now well over a year old, meaning it is cool enough where sudden evaporation is not a concern). Rather, the planning is again one of being able to respond to issues such as future earthquakes. 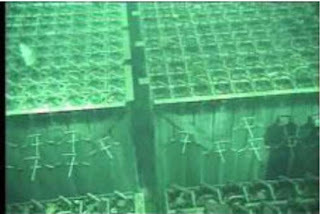 Thus, the medium-term strategy is to relocate the fuel out of the Unit 4 spent fuel pool into the common pool, thus obviating the risk from further damage to the Unit 4 reactor building; current plans call for the fuel from Unit 4 to be fully removed by mid-2013 (and from Unit 3 by the end of 2014). Again, in contrast to the opinions of certain press-seeking political office-holders and activists, this is not a process accomplished with the wave of a wand. Install a cover over the damaged building to shield heavy equipment from the environment (e.g., wind and rain). Following this, heavy fuel handling equipment (e.g., heavy cranes) will be installed in the reactor buildings in order to begin the process of moving undamaged fuel rods. Relocate undamaged, older fuel from the common fuel pool into dry cask storage to make room for newer, hotter fuel from the spent fuel pools at each reactor building. 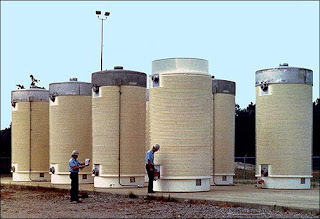 Begin removing spent fuel from the reactor buildings; this will involve placing the fuel from the reactor buildings in temporary transportation canisters and lowering the canisters to ground level, where they can then be relocated to the common fuel pool. Ultimately, this is not a quick process; nor is it clear how, despite the best intentions of "concerned outsiders" how this could reasonably be expedited beyond the current schedule, as several tasks are contingent upon one another. (i.e., spent fuel pools must be cleared of debris and a temporary cover must be installed before heavy equipment can be installed, and subsequently fuel can be relocated). Yet it is also clear from both current triage efforts as well as long-term recovery plans that the situation is far the looming disaster it is being sold as. Update: Via TEPCO's English-language Twitter feed comes this presentation specifically addressing their analysis of the structural soundness of the Unit 4 reactor building. A little knowledge is sometimes a dangerous thing - particularly when fundamentally incomplete technical knowledge is used to make sweeping engineering recommendations. The latest example of this is the concern over the spent fuel storage pools at Fukushima Daiichi Unit 4, which has been getting attention from several corners. First, there was U.S. Senator Ron Wyden (D-OR), a ranking member of the Senate Energy and Natural Resources committee, who recently toured the stricken Fukushima site and released a very widely reported statement that, "things were worse than reported." In particular, Wyden has singled out the spent fuel pools at Unit 4 for unique concern, calling on both the Japanese and U.S. governments to see to it that the rods are safely relocated elsewhere, citing their storage in unsound structures close to the ocean. Wyden has pushed the NRC and others to relocate these spent fuel rods to dry cask storage elsewhere. As for Wyden's technical credentials for making this assessment? A J.D. in law and his self-assurance in a Senator's unerring technical omniscience. I suppose it probably doesn't occur to the Senator that relocating spent fuel rods out of the damaged building is no mean feat, given that the rods which will be relocated need to maintained underwater while they are transferred into concrete casks (in this case, mostly for radiation shielding purposes) using heavy cranes. Meanwhile, TEPCO has already reinforced the damaged building, addressing the concern he has over future tsunamis further damaging the weakened building and leading to a release into the environment. Its current plans call to begin removing spent fuel for relocation within the next two years. To emphasize - this is not a problem that relevant technical experts were ignorant of until one brave Senator stepped in and decided to lead. Of course, to be fair to Wyden, as Dan Yurman points out Wyden is clearly not the only politician suffering from an acute hubris on technical matters. The basis of his reasoning? 1) Spent fuel contains very large amounts of radioactivity, 2) The spent fuel pools have been exposed to air (due to the hydrogen explosion at Unit 4), 3) A collapse of building containing the spent fuel pool would lead to an overheating of the rods contained at Unit 4, 4) Somehow, this would lead to a zirconium fire and release all of the radioactivity present in the rods. Alvarez' blog post is a perfect example of the trouble one can get into when one extrapolates from a small bit of knowledge to a larger technical issue. First of all, it should be noted that spent fuel pools are generally kept at room temperature and atmospheric pressure to begin with. A spent fuel pool, at its core, is essentially a very deep, very large swimming pool (which is also very radioactive as you reach the bottom). At the top, radiation levels are low enough to safely work without problems - you can even look down inside and see the eerily beautiful blue Cerenkov glow if the lights are dark enough. As for containment? The explosion at Unit 4 was in the secondary containment, which is essentially a thin* metal reinforced concrete shell - again, namely because spent fuel rods are un-pressurized and not at the kinds of temperatures found in the reactor. (In other words, the same kinds of phenomena involved in a core melt aren't relevant here.) The primary containment in any spent fuel pool is the water itself, which isn't hot enough to be going anywhere. So what does this mean? Without context - absolutely nothing. What Alvarez is trying to imply is that in the circumstance that these materials were released into the environment, the consequences would be far worse than Chernobyl. The problem? Alvarez presents no credible physical mechanism for this to happen. Why is it not safe? Well, other than the fact that spent fuel is radioactive, Mr. Alvarez doesn't say. An industrial blast furnace is also not a safe place to be, but that certainly doesn't prevent their use. Instead, we actually take precautions to use them safely - the same way spent fuel pools use deep levels of water to both cool the fuel and shield the high levels of radioactivity. To wit: certainly no one would want to be next to a spent fuel assembly without the shielding provided by the deep pool of water. (With this shielding, the levels of radiation are low enough where it is quite safe to stand above the pool and look down inside - something I have had the opportunity to do before). But for this radioactivity to be truly disastrous (rather than simply being a dangerous but extremely localized nuisance), something has to cause the radioactive materials in the fuel to change state - i.e., to either melt or be carried away ("lofted") by a fire. Meanwhile, let's back up for a moment such that everyone understands what's going on. As we've covered on this blog before, spent fuel does still produce heat after the fission reaction shuts off. The remaining radioactive materials in the fuel, created both by fission and absorbing neutrons - are decaying. The quickest-decaying materials produce very high levels of radioactivity, and much of this energy is trapped in the fuel itself, heating it. Thus why spent fuel needs to be cooled following the reactor shutdown (which was the resulting source of problems at Units 1, 2, and 3). Both this radioactivity and decay heat fall off dramatically with time, as the shortest-lived fission products decay away. Within 100 days, the heating rate and the radioactivity in spent fuel have dropped by a factor of 10; within 10 years, this drops to 1/100th of the original values. Doing my own calculations using ORIGEN-S (a tool for nuclear licensing evaluation which is used to simulate spent fuel inventories), a typical assembly of the type found in the spent fuel pool would produce about 3-4 kW of heat after being stored around 1.5 years (and even less as it grows older) - or about 17-20 watts per pin (which themselves are over a meter long). 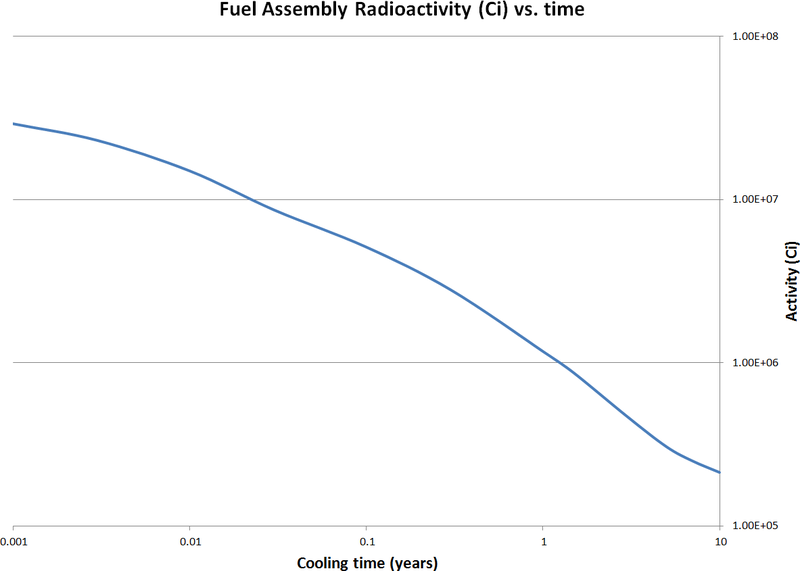 In other words, while fuel which has just been ejected from a reactor poses a challenge in terms of cooling, it is difficult to conceive of how one gets the type of scenario Mr. Alvarez describes, in which something producing so little heat manages to cause these assemblies to melt or spontaneously catch fire. Getting back to the main thread now - let's assume for a moment that this scenario, one already demonstrated to be of extremely questionable plausibility, is true - i.e., that there remains a real threat spent fuel pools, in which the cooling water is lost and the rods subsequently overheat and either catch fire or otherwise change state. So Alvarez's solution, to prevent these rods from overheating? Put them into thick concrete casks cooled by circulating air. Apparently, the same rods at risk of spontaneous combustion when exposed to air are fine if put into thick concrete casks. The logical inconsistency beggars belief. Note that I am most explicitly not criticizing dry storage - in fact, dry storage casks have been demonstrated to be an effective, medium-term solution for isolating spent fuel from the environment. But to simultaneously assert a danger of spent fuel rods melting when exposed to air while simultaneously advocating to put them in thick concrete casks exposes a basic failure of physics reasoning, one which both Mr. Alvarez's employer and the ever-reliable science reporting of the Huffington Post are happy to embrace. First, let's go back to the decay heat issue. Generally speaking, spent fuel isn't suitable for moving into dry storage until it has cooled for a few years in a spent fuel pool - a general rule of thumb for dry storage is 5-10 years cooling time, although less is possible. 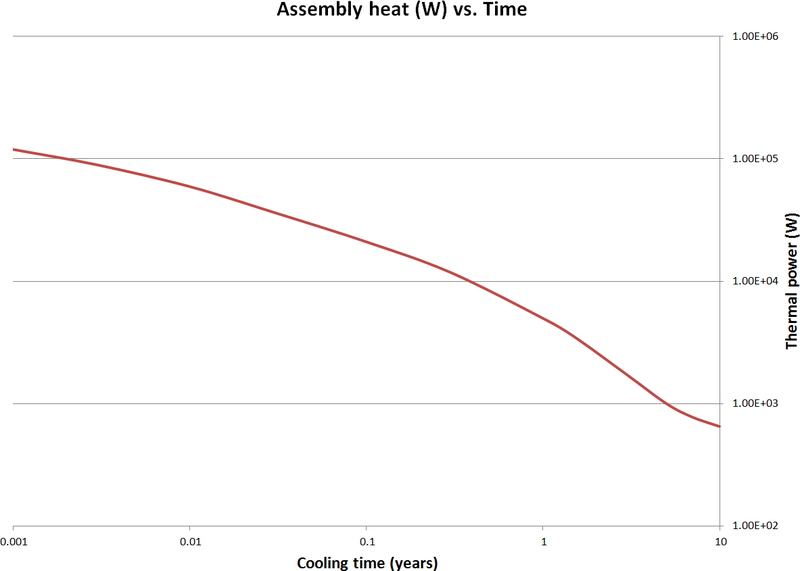 The heat generated by 10-year old spent fuel assemblies are a hundredth of that generated by recently-ejected assemblies - in other words it would take one hundred assemblies stored for ten years to equal the contribution of one "fresh" ejected assembly. If the reasoning here is to give greater safety margins for spent fuel pools in the event of a loss of cooling, dry storage is an extremely inefficient mechanism for doing so - namely because of the fact that the assemblies which are eligible to be moved into dry storage casks make at best a marginal contribution to the spent fuel pool heating. In other words, a large expense for very marginal gains in safety. What we have is thus a classic case of a solution in search of a problem. Alvarez (and others, for that matter) have found a solution they like - dry storage - and have (by process of scientifically incomplete reasoning) connected this with a problem they see - the vulnerability of spent fuel in wet storage pools - and naturally put the two together. Regardless, that is, of whether that square peg will actually fit in said roundish hole - the solution is, apparently, to just keep pounding. This is where I think Alvarez's (possibly well-meaning) concern actually becomes dangerous. Maintaining the integrity of spent fuel pools for "younger" fuel is vitally important - which is why some of the most recent changes recommended by the NRC as well as industry call for improvements such as better monitoring and instrumentation at spent fuel pools, along with other kinds of contingency plans to ensure water can be delivered to the pool in the case of a loss of coolant. Likewise, ensuring the integrity in the design of spent fuel pools indeed should be a priority. But herein lies the problem with "experts" like Mr. Alvarez, who has no actually technical background to speak of - starting with the faulty premise that "wet storage" (i.e., spent fuel pools) can be eliminated entirely (they can't), we are then assaulted with faulty recommendations to move fuel out of these spent fuel pools at large expense and very marginal contributions to safety. Yet arguably these are resources that could be better spent on improvements to the safety of spent fuel pools - things like better instrumentation to know what is going on in said pools and improved emergency response capabilities (such as designing easier means of supplying auxiliary water to the pools). The focus on dry storage as a safety measure thus makes for a dangerous distraction which commits attention and resources away from more productive ends, thus potentially compromising safety as a whole. Alvarez isn't the only one guilty of a single-minded focus on dry storage as a "solution" to spent fuel storage pools - all kinds of individuals (such as Senator Wyden above, and even some people I know of in real life who should know better...) have jumped all over this. The problem comes down to a simple failure to think things through - again, if spent fuel is too hot to be exposed to air, it's too hot to go inside a thick (thermally insulating) concrete cask. If it isn't too hot for dry storage (i.e., older fuel), then it isn't what is driving the safety issue at the spent fuel pool. Thus, in either case, it's a solution in search of a problem - given the fact that hotter fuel cannot be removed from the pool itself, it is more useful to focus upon the problem at hand. The underlying pathology here - in other words, why seemingly simple-sounding solutions like this are so seductive - is because it gives the illusion of "doing something" about the (perceived) problem. 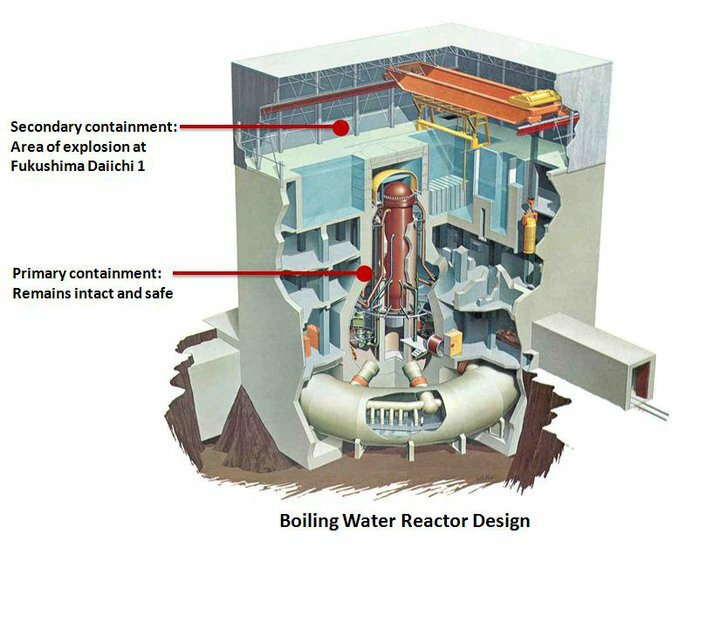 In this case, this is done through a somewhat primitive technical analogy - we have a thick concrete containment for the reactor as a safety mechanism, therefore spent fuel should similarly always be in a thick concrete containment. It simultaneously ignores where the solution is technically inappropriate ("younger," hotter fuel) and how it fails to address the root problem (i.e., keeping the spent fuel both cooled and well-shielded - which is done by ensuring the integrity of the water levels in the spent fuel pool). Fundamentally, it is an example of how not to do engineering - engaging in a top-down method of choosing a solution first and making it work to fit the problem. Under ordinary circumstances, this leads to bad outcomes - wasted money and sub-optimal solutions (or even solutions that are simply inappropriate). In the worst-case scenario, this kind of thinking actually makes things worse, namely by committing time and resources away from evaluating actual safety improvements - and thus where well-meaning concern of outsiders who are fixed upon a particular solution without understanding the actual problem can actually do more harm than good.